Chrome and Firefox users that install OS X Yosemite are receiving notifications suggesting they give Safari a try, according to multiple reports on Twitter (via Tom Davenport). After upgrading to Yosemite, Apple is sending popups that read "Try the new Safari. Fast, energy efficient, and with a beautiful new design." The interactive notification comes with "Later" and "Try Now" options, and it seems that users may be receiving the messages when opening Chrome or Firefox for the first time after installing the operating system update. The new Safari 8 did demonstrate significant improvements over Safari 7, scoring 81 percent better on JetStream and 89 percent better on Speedometer, suggesting Apple has indeed made some major under-the-hood improvements to the browser. Along with speed improvements, Safari gained some new security features, including DuckDuckGo support and isolated Private Browsing windows that allow users to have a non-private browsing window open at the same time as a private browsing window. The browser also continues to offer third-party cookie blocking, malware monitoring, and sandboxing for websites. Safari received a complete visual overhaul in OS X Yosemite, introducing a new streamlined look that does away with the favorites bar by default and a revamped Tab View that displays all open tabs in a tiled arrangement, much like iOS. Safari has also benefitted from Handoff, a Continuity feature that allows users to open a webpage on a Mac and seamlessly continue browsing on an iOS device (or vice versa), and the browser natively supports Netflix, providing two extra hours of battery life when watching movies or TV shows. 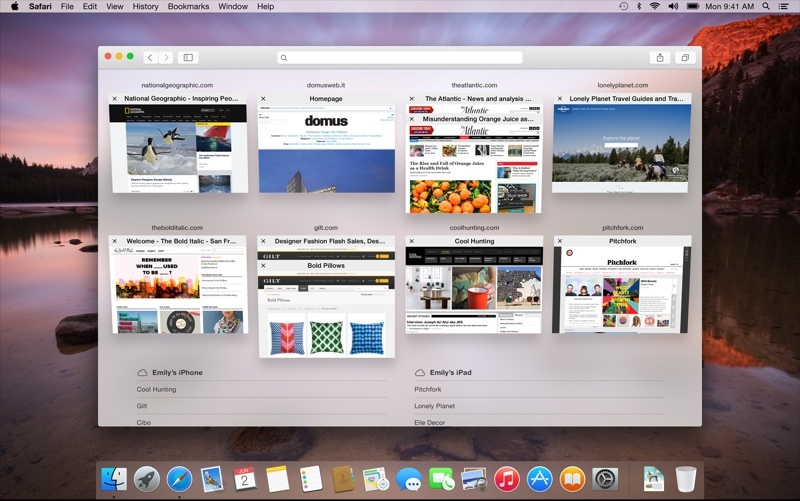 Built into OS X Yosemite, Safari 8 is automatically installed alongside the new operating system. Released on October 16, Yosemite is estimated to be installed on approximately 20 percent of Macs at this point in time. I haven't used Firefox in like 3 years. Safari is just snappy. No Thanks. Need those Chrome extensions. Safari needs more extension support and a GUI that doesn't look like I'm using an iPad. Couldn't agree more, Safari on Yosemite is truly something else. It's also the most efficient and plays great with iOS devices, why even use those crap alternatives? I honestly love Safari and it's my go-to browser. Also, if Chrome or Firefox is your default browser, when you open safari the next time it will ask if you want to make safari your default. Honestly, it felt a little low for Apple. If I want to make safari my default, I'll do it without apple begging me to change over. Yes, that's always bugged me. Whilst Safari is an excellent browser, the features and options are piss poor. The exact same pop up happens when you start up Firefox or Chrome if Safari is your default browser. So is Firefox or Chrome "begging" you to change over ? 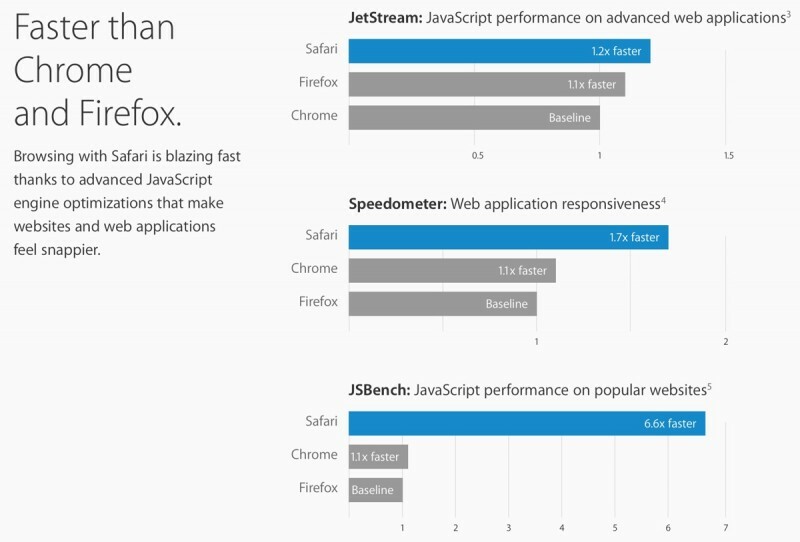 Is it "low" for Firefox or Chrome ? How about Internet Explorer ?